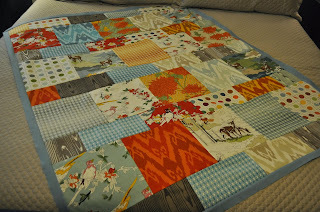 So, despite my lack of blogging, I have been doing a bit of sewing lately. As I mentioned in an earlier post, I can't share much of it with you yet. 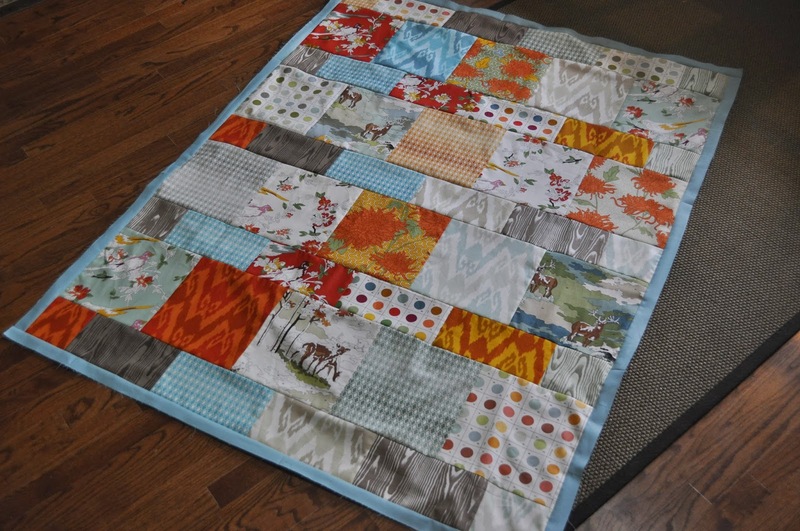 However, I can share a cool new quilt top that I recently finished up. 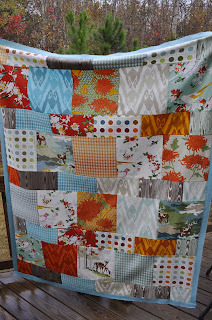 I was excited to be asked by Kimberly, Chelsea, and the team at the Fat Quarter Shop to help celebrate the launch of their newest free quilt pattern, Layer Cake Lemonade. 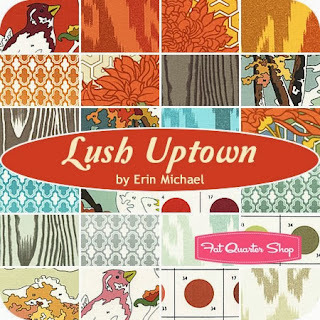 This pattern is part of the FQS' Shortcut Quilts series, featuring patterns for quilts that are quick to piece and make good use of fabric pre-cuts. 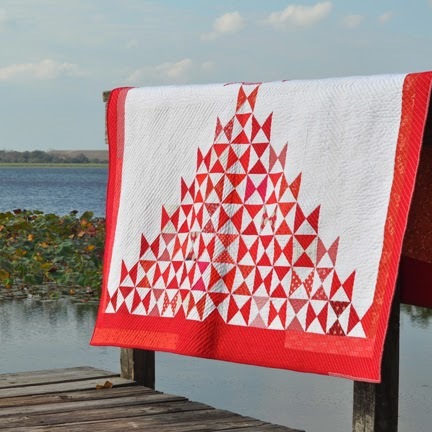 You can find the free quilt pattern here. For my version of the Layer Cake Lemonade quilt, I decided to use the recent reprint of two of my favorite fabric lines -- Lush Uptown by Erin Michael for Moda. I knew it would be a great collection to showcase its beautiful large focal prints. The pattern was well-written and a breeze to put together. In fact, I both cut and pieced this quilt top in just one afternoon. 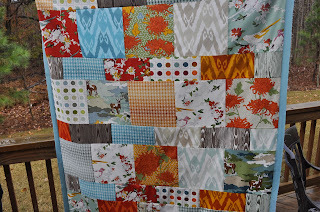 A Shortcut Quilt indeed! The quilt top finishes at 48" x 61". I added a narrow 1" border using a solid Moda Bella solid in teal to frame the prints a bit more. 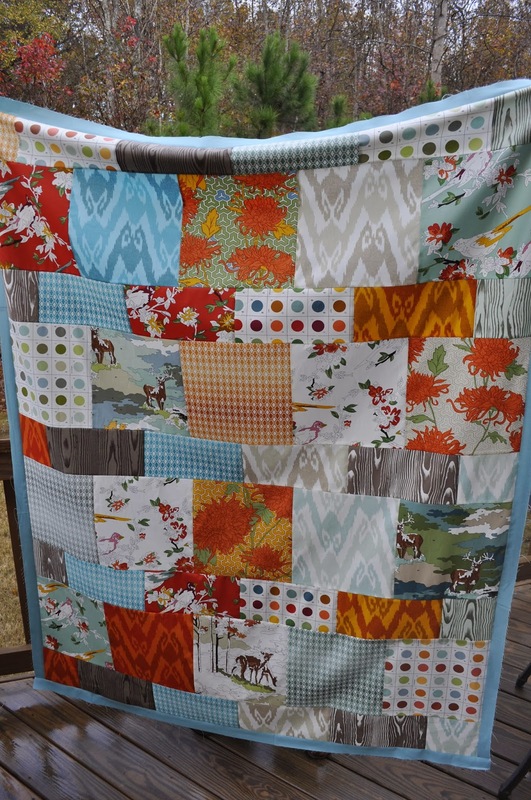 I'm also planning on adding some additional solid borders in other colors pulled from the collection to make this more of a sizable throw quilt -- after all, I am 6'5" and I want to keep this one for myself. 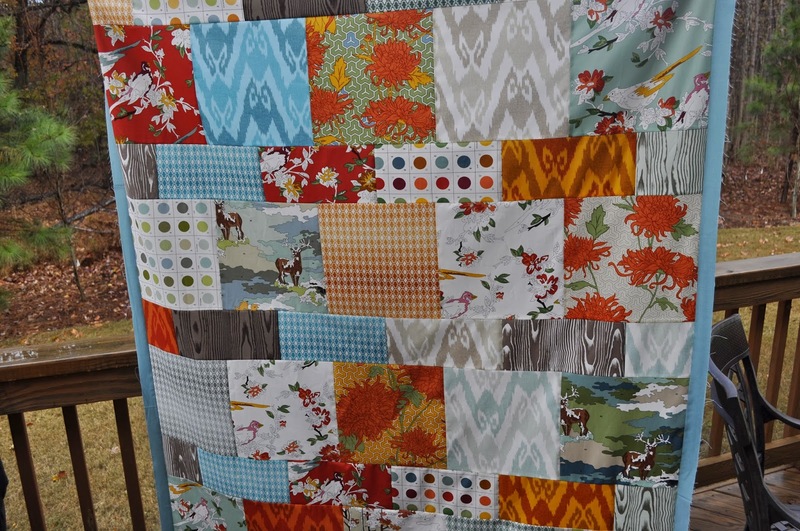 I'll post more pictures of the quilt top after I add those extra borders. I'm always a big fan of quick quilt projects. And of free patterns. Lucky for us, this one hits on both counts! 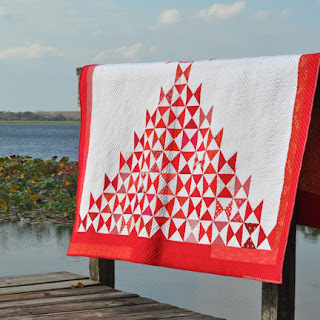 As part of the pattern's launch today, Kimberly put out a great video with more information about the quilt. I've embedded it in the post below, but you can also find it -- and more information about the Layer Cake Lemonade pattern -- on the FQS blog today. 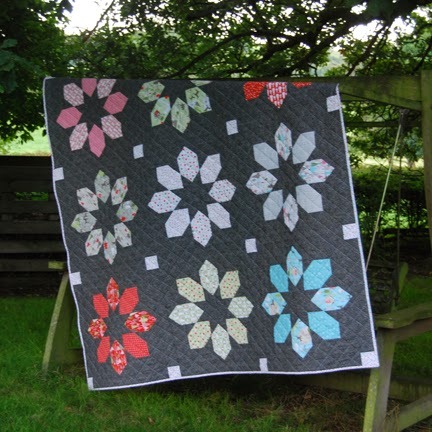 Once again, here is the link to the free quilt pattern. 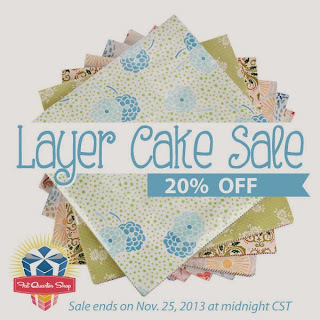 Also, in honor of the release of the Layer Cake Lemonade pattern, the Fat Quarter Shop is offering 20% off of all layer cakes this week only for all of you that want to make your own version. Happy shopping! Thanks again to Kimberly and the entire team over at the Fat Quarter Shop for inviting me to be part of the celebration! 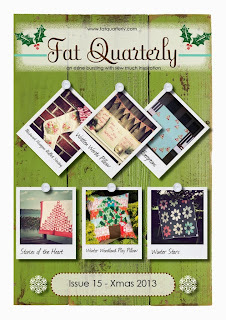 Issue 15 of Fat Quarterly, the annual holiday edition, is out today! It looks to be yet another fabulous issue chock full of holiday project ideas and inspiration because -- whether you choose to believe it or not -- 'tis the season, y'all! So head on over to the Fat Quarterly site and purchase your issue or subscribe today. It's also the perfect time for me to let you all know that I am no longer an official member of the Fat Quarterly team. Stepping down from the magazine was an extremely difficult decision for me but, with the twists and turns my life has taken of late and the changing demands on my time, it was the best decision for all parties. 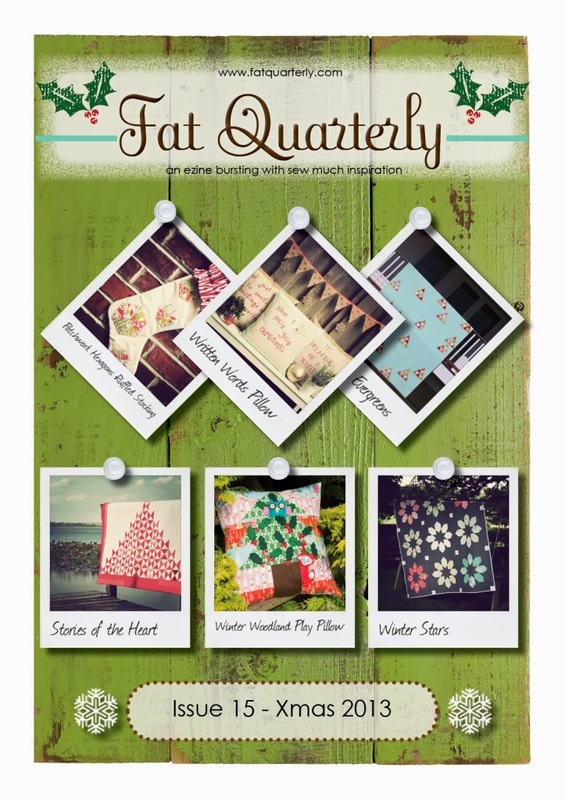 Of course, I LOVE LOVE LOVE Fat Quarterly and I love the ladies of the FQ team even more. Katy, Brioni, Lynne and Tacha have become some of my best friends in the world. This move was nothing less than love-and-hugs all around (and, in fact, I am already planning on some visits with the gang when I am in Europe!) I still believe in the mission of Fat Quarterly -- to be both of and for the modern quilting community -- and will support it to the end. 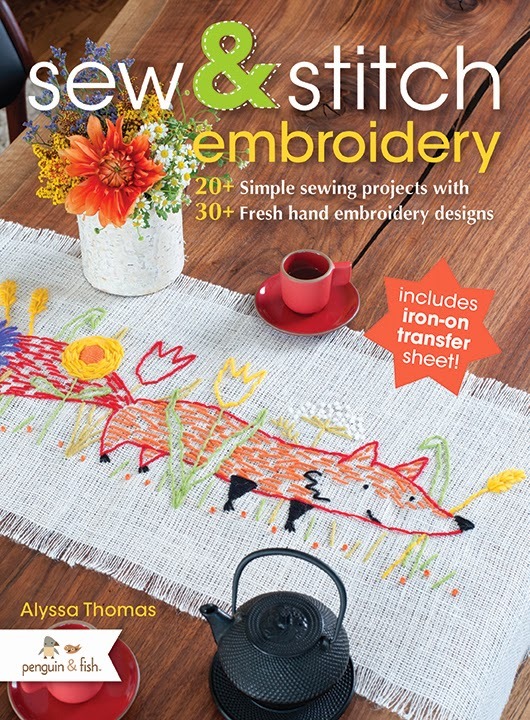 Back tomorrow with the winner of the Sew & Stitch Embroidery book giveaway!